Senator Al Franken (D-MN), should have known better than to give an interview to the wonderful folks from Think Progress during the Netroots Nation Conference in Minneapolis this past Saturday. Confronted by three crack reporters from the TP staff, Franken grudgingly admitted that “yes there was some hypocrisy in the way Republicans called for Congressman Anthony Weiner’s resignation last week while not addressing Senator David Vitter’s (R-LA) misdeeds. Never mind that the entire democratic leadership as well as most democratic legislators threw Weiner under the bus. Never mind that the entire liberal media establishment (with the exception of Alan Colmes) chastised him and called for him to resign. Never mind that the silence from Progressives was deafening after originally screaming “right wing conspiracy”. 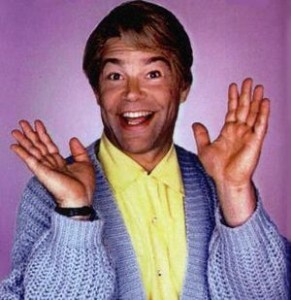 Think Progress finally achieved some vindication when Senator Franken aka “Stuart Smalley” was inartfully cornered by three young pup reporters (Alex-Seitz Wald, Tanya Somanader and Jeff Spyros) into saying there was some hypocrisy in the situation. Is this even a story? It appears so, from the serious News Flash on the Think Progress site. Yes, Alex, Tanya and Jeff, politicians are in fact hypocrites… but Weiner deserved to go! Dredging up some misdeeds by Senator Vitter ten years ago (for which he publicly apologized four years ago) doesn’t change the facts about Congressman Weiner. 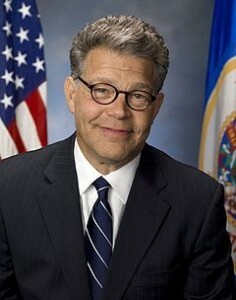 Senator Franken, you should be ashamed for even talking about this. No one heard your outcry in support of Mr. Weiner last week or the week before. Why the silence? I suppose Netroots Nation heroes must blindly support their constituencies even if only elected by a majority of 312 votes. Since Mr. Weiner is going into rehab perhaps he can take comfort from Mr. Smalley’s daily affirmation: I’m Good Enough, I’m Smart Enough, and Doggone It, People Like Me! This entry was posted on June 20, 2011 at 5:56 pm. You can follow any responses to this entry through the RSS 2.0 feed. Both comments and pings are currently closed.